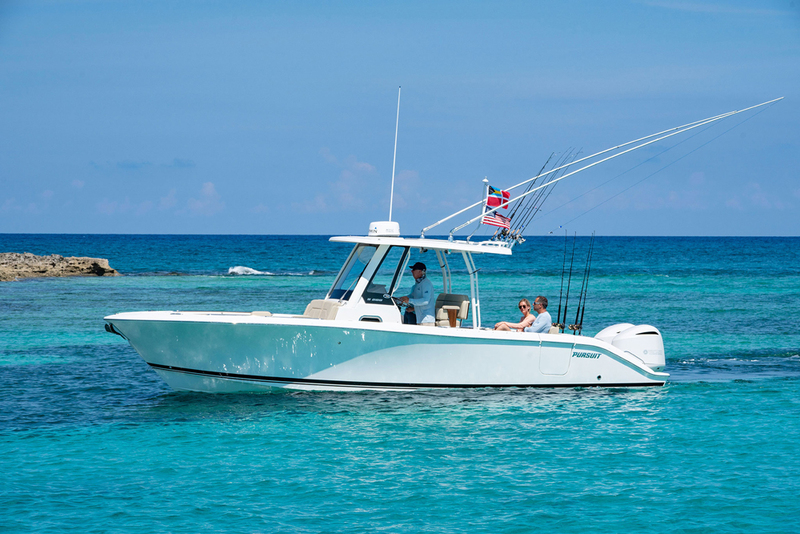 This new center console fishing machine mixes a yacht-like finish with blood-and-guts fishability. Ranging from the bodacious Pursuit OS 385 to the diminutive Pursuit C 180, this company has introduced a wide range of new models lately. And right in the middle of the spread sits the C 260, a boat that will feel at home both at the canyons and at the yacht club. 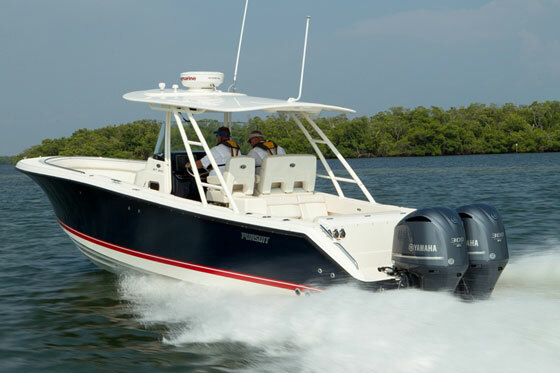 Pursuit keeps fishing in mind on the C 260, but modern styling and a flawless fit and finish are also front and center. How does Pursuit make their boats look so good? The modern styling is obvious, but part of the reason merges with why their boats are built stronger than the norm. Large parts like the hard top are vacuum-infused. Aluminum pipework is powder-coated. And all of the compartments and stowage boxes—from the console head to the fishboxes—are fully linered. What's hidden from the eye, however, is the molded, infused, one-piece fiberglass stringer system that gives this 21-degree deep-V hull its backbone. Nor can you see the aluminum downrigger backing plates in the gunwales, a touch the serious angler is going to appreciate. Look around, however, and plenty of other fishy touches are a bit more obvious: a 30 gallon livewell (which is blue inside, to keep your live baits calm and healthy), a 31-gallon fishbox, four stainless-steel gunwale rodholders, and under-gunwale rodracks, for example. Fishing at the canyons means long runs, and though you’ll want the speed to get out there in short order, you’ll also want the efficiency to do it on minimal fuel. 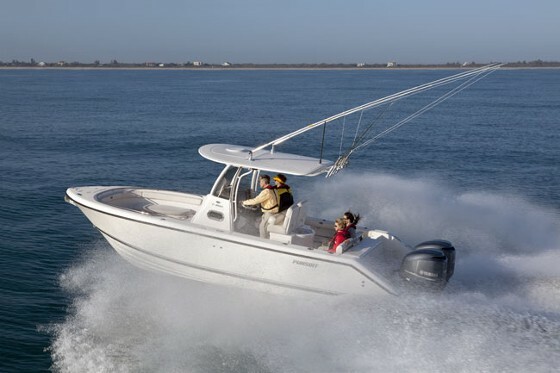 Most boats force a trade-off in one direction or the other, but rigged with a pair of 200-hp Yamaha F200 outboards the C 260 finds an excellent middle ground. At cruising speed of 36.7-mph—plenty fast to beat most other boats to the hotspots—this rig burns 17.7 gph. 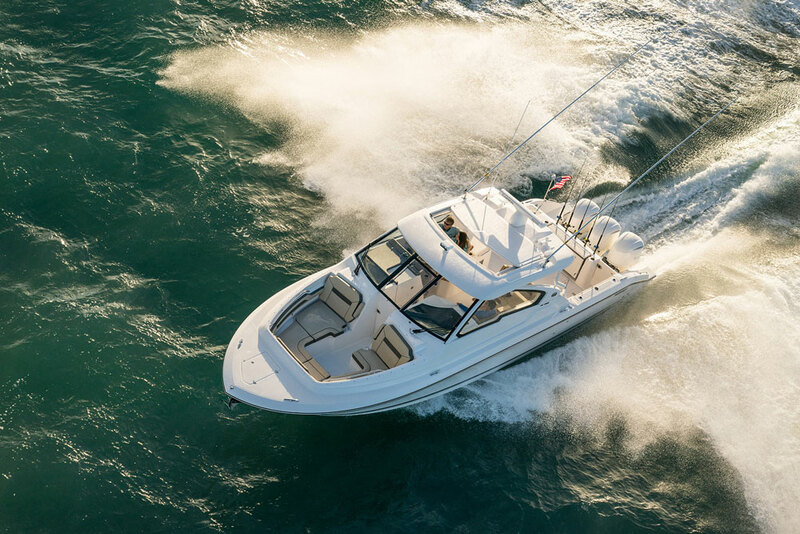 That means you’ll be getting better than two miles to the gallon while turning 4000 rpm, a tall order for any offshore-capable boat. Goose it up to 4500 rpm and speed breaks 42 mph, while economy drops to a hair under two mpg. Feel the occasional need for speed? Fine. Firewall the throttles, and the C 260 can break 50. Want even more efficiency? 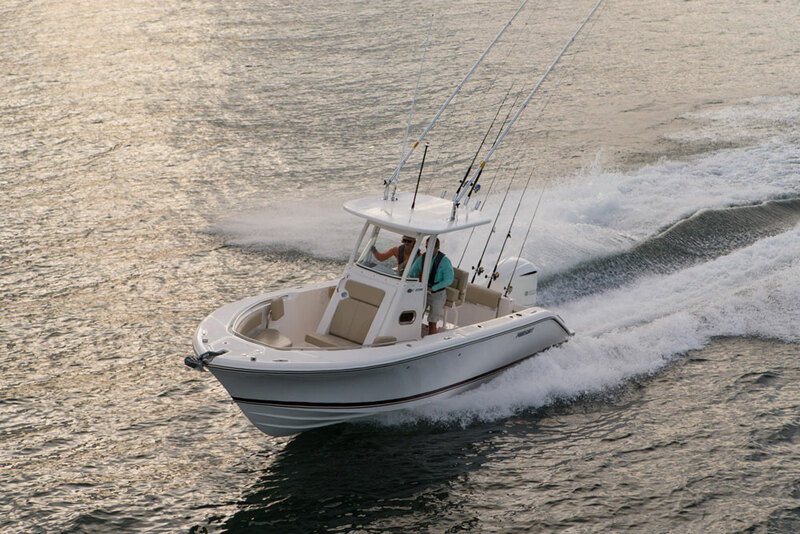 Rig the boat with a single F 350, Yamaha’s mammoth four-stroke 5.3 liter V8, and at a 29 mph cruise, the mpg jumps all the way up to 2.75. When it comes to boats everything’s a trade-off; in this case, increased mpg means heading offshore without a back-up powerplant. The C 260 has integrated forward seating, along with a removable table. One more trade-off to keep in mind: the C 260 has a seating-forward design. 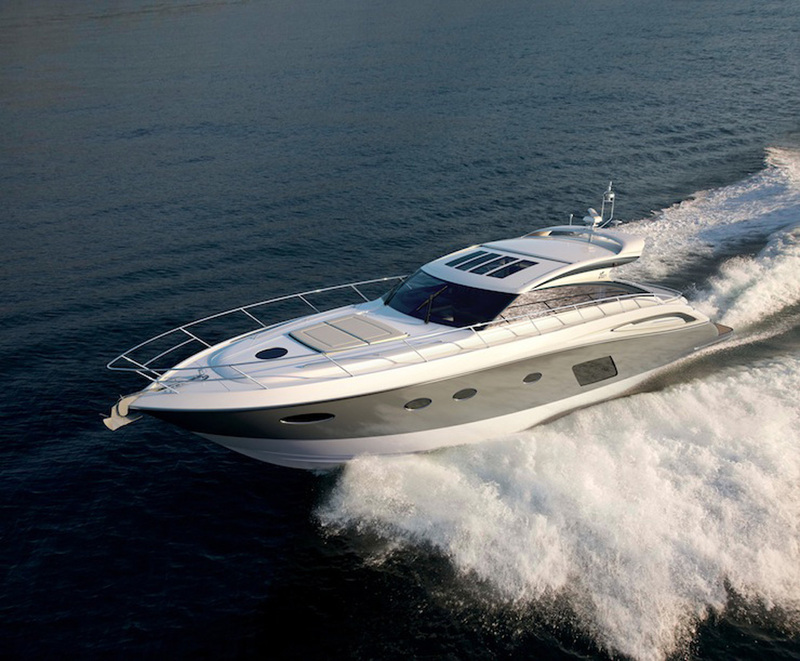 Most boaters who intend to spend family time on the water or haul a large crew will like this, since you gain not only the seats, but also the overboard-draining stowage compartments they create. Plus, if you remove the cushions they make good elevated casting platforms. But some die-hard anglers prefer the bow to remain unencumbered, so there’s more deck space for angling. Pick your poison. 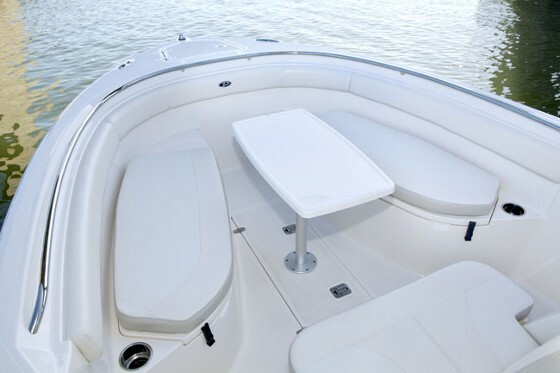 Either way, additional seating can be added to this boat with an optional fold-away transom bench seat. 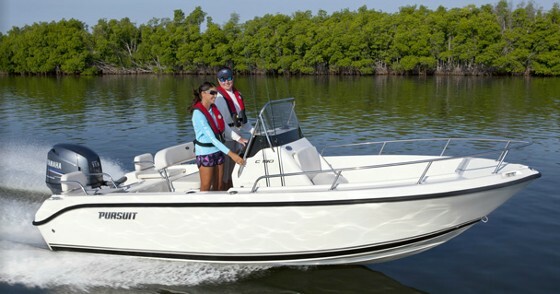 There are some other comfort-adding features anglers and boaters of all stripes will want to take note of. First off, the console access comes via a swing-open door in the front of the console, which makes entering the head easy. The boat has a transom shower with an 18.5 gallon freshwater tank. Both the cockpit and the bow are ringed by coaming bolsters. And the fiberglass leaning post has flip-down bolsters, so you can run the boat comfortably both sitting and standing. 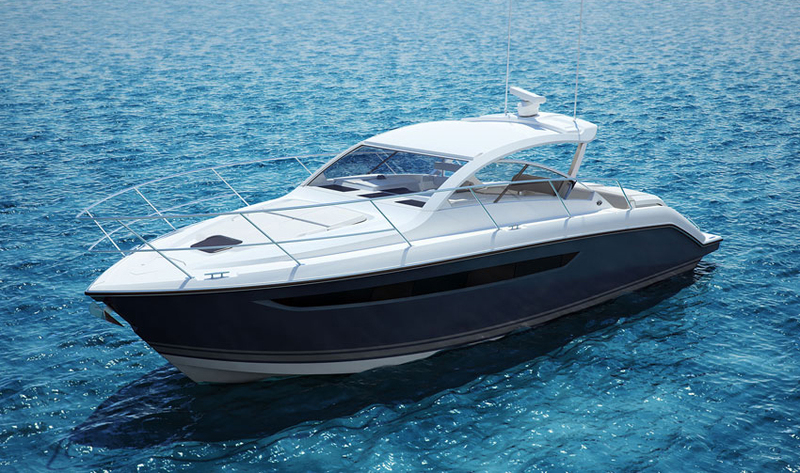 While the economy has lagged, many boat builders have put new model development on a hiatus. But that’s not the case at Pursuit; with the introduction of the C 260 this company proves once again that new is a good thing—whether you’re cruising for the canyons, or headed to the yacht club. 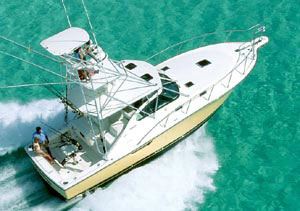 For more information, visit Pursuit Boats. 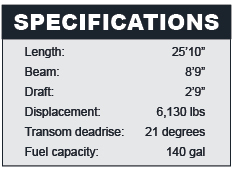 Note: specifications shown are with a pair of 200-hp Yamaha F200 outboards on the transom.